OnSite pipelines division offers cost-effective metering services to numerous clients including water companies, industrial, commercial and retail customers. 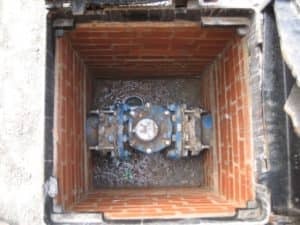 Our services include installing and replacing meters of all types and sizes, including district meter installations projects for water companies. We have worked on several hundred district meter installation projects in the Midlands, London and South East of England including whole DMA installations, alterations to existing pipework assemblies and renewal of individual meters and fittings. We have an enviable reputation for tackling complex DMA projects. From design to completion, our expert teams have the capability to identify and deliver cost effective installation solutions with minimal disruption.